Warmi wrote: When it is above 85 F , a sustained steep climb of about 1300 feet at 65 knots and full power will almost always result in CHTs reaching 243 or so - leveling off will bring these down to 230s within a minute or two. * Climb at the POH recommended IAS of 75 kts. 65 kts will put a lot of load on the engine that will turn into heat in a hurry. I generally climb at 65 ish until the end of the runway, then go at 75-80 to pattern altitude. Cruise climb is probably in 85-90 range. 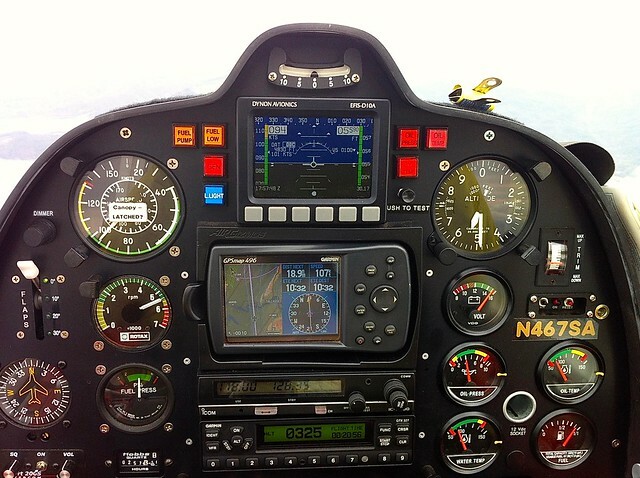 * Back the throttle off around 1/2 inch once you've hit a safe altitude. If you look at the torque/power curve of the 912 ULS you'll see that this area is much less efficient so generates more heat than power. Thanks. I know it makes perfect sense and I will do so. 1) They say that “ignorance is bliss”. My Sky Arrow only has a “CYL TEMP” warning light, and in 500 hours and 11 years it’s never illuminated. I have no idea what my CHT’s are at any given time, only a proxy via oil and coolant temp, which can venture into the yellow but have never redlined. My POH says the warning light should illuminate at 266°, +/- 9°. 2) My SOP is to cruise climb at between 75-80 kias once at a safe altitude. The increased forward speed helps with cooling, and actually helps reduce trip time unless the winds aloft are quite favorable and I’m in a hurry to reach them. 3) Not sure about the recommendation to reduce power in the climb. It will necessitate a slightly higher AOA, which may slightly impede the flow of air into the cowling. In some planes full throttle results in an automatic enrichening of the mixture, which pulling back even slightly may defeat. Maybe there’s something quirky with the ROTAX whereby climbing at partial power may aid in cooling, but in general it’s not a good idea unless the manufacturer specifies it. 4) In big bore Continentals, the goal is often to keep CHT’s below 400° in the climb. Redline is 460°. Not sure why the limits on the ROTAX are so comparatively low, though I suspect it has to do with the expected added cooling from the water cooling system. FastEddieB wrote: Random thoughts... 4) In big bore Continentals, the goal is often to keep CHT’s below 400° in the climb. Redline is 460°. Not sure why the limits on the ROTAX are so comparatively low, though I suspect it has to do with the expected added cooling from the water cooling system. There are several factors envolved, but the primary reason is the placement of the temperature probe. Depending on the vintage of the Rotax engine they are either measuring CHT or coolant temp. The later style heads that were introduced when the 912iS came out measure actual coolant temp. The earlier heads measure CHT, but it is in an area near a coolant passage. The reason for the lower temps is because of the coolant. It will start to boil as temps get to high and the cooling effect goes away causing damage to the cylinder head. Lycoming and Continental measure at a point where the temperature is hotter. My plane has a water temperature gauge and an oil temperature gauge. I assumed the sensor for the “CYL TEMP” light used a separate probe to directly measure CHT, but I’ll check on that. My AMM only refers to a CHT gauge, in a panel layout slightly different from mine. No mention of a water temperature gauge. I suspect my water temp gauge may indicate what others are referring to as CHT. FastEddieB wrote: 3) Not sure about the recommendation to reduce power in the climb. It will necessitate a slightly higher AOA, which may slightly impede the flow of air into the cowling. In some planes full throttle results in an automatic enrichening of the mixture, which pulling back even slightly may defeat. Maybe there’s something quirky with the ROTAX whereby climbing at partial power may aid in cooling, but in general it’s not a good idea unless the manufacturer specifies it. I agree. Here in steamy Georgia I have found in my CT that if the temps start getting toasty, reducing power does nothing at all to reduce the temps, and just increases the amount of time spent in the climb at those higher temps. Flattening the climb *does* have a good effect, and in the Summer I usually use a 90kt climb unless I'm trying to get to altitude in a hurry for some reason. If it's particularly hot I have even used 100kt climbs, or alternated between 90kt and 100kt on long climbs where the temps start coming up even at 90kt. The good news on my airplane is that in hot weather the oil temps want to be 230°F or higher, but usually they don't want to get above 245°F unless I provoke them into it by climbing very aggressively. So it's pretty easy to get the temps to come down by shallowing the climb when the temps get over 240°F. Altitude is your friend when it's hot. When flying long distances in hot weather, your temps will be much more moderate if you take the time to climb up high, even if it means a shallow climb. Planning your flights in early morning or late evening can help too, now that we have nice long summer days! Something to consider, related to why we care about CHT...at 400°F, the structural strength of aluminum alloys is *half* what it is at room temperature. That means it takes half as much force to cause a structural failure in components like aluminum heads. If you let your heads get to 400°F, you are putting your engine in a precarious situation if you need to call on it to work hard. It really is in our best interests to keep those cylinders as cool as we can. Many engines have a 400°F limit, but I'd strongly consider landing for a cool down period if the engine gets much above 360°F. Of course that's generic advice, and some engines are more overbuilt than others. Backing the power off a fraction was mentioned in the 16hr Rotax course from around 10 years ago and was also mentioned by my distributor. Don't know that it has a significant affect but I've always done it on extra hot days. As mentioned above, my CHT has only momentarily hit the yellow once in the 10.5 years history. If it ain't broke, don't fix it YMMV. Note the slope of the HP becomes flatter after around 51000 rpm and torque actually decreases after 5000 rpm. This indicates that there is less efficiency at higher RPM especially if you match it up with the increased rate of fuel burn. Less efficient can lead to more BTU of heat per incremental RPM as the energy has to go somewhere. Is it a big amount -- probably not. Less power in cruise can cool things down, is that what you mean? I thought we were talking about reduced power in climb. Took off today with ground temperature right at 90F (on its way to 102F) climbed to 3500' with air temp at 78F. Max CHT during climb of 220F. With the throttle backed off from 1500' to 3500', I was climbing at 1000 fpm at 80-85 KIAS. I've been to lazy to pull off the heater muff which will usually drop it a handful of degrees as well.